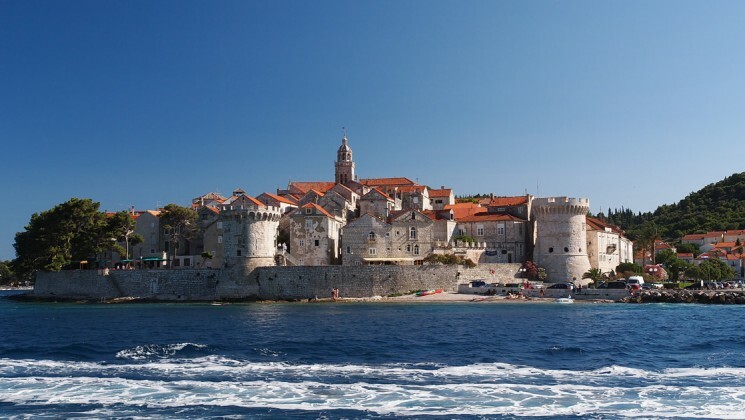 This Dalmatian Coast Cruise bypasses major European ports in deference to Roman ruins, lavender fields, the medieval towns of Korcula and Hvar, the famous salt lakes in the Mljet National Park, indulging on oysters in a once fortified small village and swimming at the famous beach Zlatni Rat. On-board expedition leaders and local guides reveal thousands of years of stories at these sites of ancient stone. On-own explorations can be conducted by renting kayaks, bicycles and scooters, depending on the destination. Among the inclusions in the per person rate, double, starting at $1,425 are daily buffet breakfast and three-course lunch, drinks with meals, Dubrovnik sightseeing and scenic cable car ride, half day excursion of Ston with oyster farm visit and tasting, wine tasting at a traditional winery in Vis, Mljet National Park entrance fee, visitors’ taxes and port fees, transfers from and to Split/Dubrovnik airports, daily cabin service, and Wi-Fi on-board.